Jack Butala: Welcome to our show today. 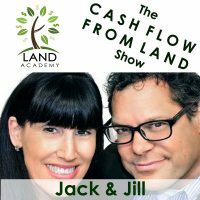 In this episode Jill and I talk about How Long Does it Take to Become a Pro? Great show today. 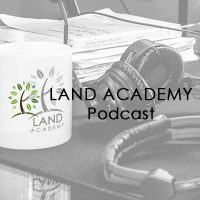 Before we get into it, let’s take a question posted by one of our members on landinvestors.com, our online community. It’s free. Jack Butala: Rod’s a member, right Jill? Jack Butala: I think yesterday’s show was about this. Jack Butala: How to raise capital. Jack Butala: It’s real simple on a deal like this. 150 bucks an acre. If the properties have pretty good access and they’re within reason, you can sell them for three hundred an acre, which I’m not sure there’s a part of Apache County that you can’t do this. 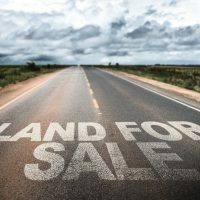 Just go on a deal board on landinvestors.com. There’s a deal board. Because you’re a member you have access to it. Post it there. Then also post it on the pro level area in Land Investors as well as the non-pro level area. Jill DeWit: If you post it, they will come. Jack Butala: Yes. 22 thousand is a really low amount of money, small amount of money, to raise for a deal like this. I think you’re gonna turn it cash in, cash out in less than 30 days. You should just consider wholesaling it or optioning it also. But whatever you do, tie it up because that’s a good deal. Jill DeWit: Yeah. That’s really, really good. Jack Butala: Anything around a hundred bucks an acre up there is good. Jill DeWit: I love it up there. It is pretty. Jill DeWit: No. It’s good. No. I’m over here. It’s all good. I’ll pipe in. Jack Butala: Do you have a question? Okay, Robin. 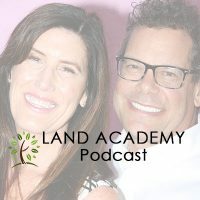 You want to be on the show, reach out to either one of us on landinvestors.com. Jill DeWit: Thank you, Batman. Jack Butala: It’s more like the other Robin. Jack Butala: Howard Stern’s Robin. Jill DeWit: Batman and Robin. Jack Butala: … Howard Stern. Jill DeWit: You know what’s funny? I never really watched Howard Stern, so I’m not there. Jack Butala: That’s funny because it’s a radio show. Jack Butala: If you have a question … I already said it. Today’s topic: How Long Does it Take to Become a Pro? This is the meat of the show. Jill, you got some real clear ideas about this before we started. Jack Butala: It all starts with that first deal, by the way. Jill DeWit: Exactly. What’s funny actually … It was really, really cool. I just talked to one of our newer members. A little shout out to Dan W. Earlier … Actually the other day, and Dan was telling me … He called in and I just happened to answer the phone. It was great. We had a great little chat. Dan’s like, “I just sold my first property. It was the coolest thing.” I have something funny else to say too that Dan told me and I wrote down. He’s like, “I just sold my first property.” I’m like, “This is great. I’m so excited for you.” He’s like, “This is awesome. I love it.” And we talked a little bit about this. It does take a few deals to get comfortable and then you can really start to branch out, look at different areas, look at different property types, and all that good stuff. What I think, how long it takes to be a pro at this is gonna be months if you’re going at it 40 hours a week or more. I think you can inside of a year, but that’s if you’re going crazy. What do you think Jack? Jack Butala: There’s a concept in education called Ten Thousand Hours, that you become an expert or a master, so to speak, at what you’re trying to accomplish after you’ve been doing it for ten thousand hours. I was thinking about it before the show. What have I done for ten thousand hours? Well, I’ve probably put ten thousand hours … I think it’s five years full time, 40 hours a week. I’ve been doing real estate deals for a lot longer than that, so I guess that makes me a pro. Jack Butala: I’ve been typing a lot longer than all of that. I’m a professional typer, by the way, typist. Jill DeWit: That doesn’t work. Jack Butala: That’s not Jill and I.
Jill DeWit: Here’s my thoughts. How much of you’re being a pro … I totally believe in your concept about the … Is it ten thousand hours? Jack Butala: That’s a good point. Jill DeWit: … by being here and even doing the show. You know. We’re taking a lot of the guess work and trial and error and all that stuff because we can really say, “We’ve done that and here’s what happened.” You can go, “Great. That just saved me six months and that just saved me three months and that just saved me a couple weeks.” Just a thought. Jack Butala: The other thing is that if you’re an accountant or an engineer or an aerospace rocket scientist and all those people … Those are real occupations that are in our group. We have lots of medical doctors. If you’re a technical person who’s very comfortable with data, you’re way, way, way ahead of most people. You can shave a bunch of time off of that. A real professional, I mean a pro … Think of a pro athlete versus a college athlete. Jack Butala: We’re talking about professional [inaudible 00:06:06] investors. It’s gonna take five years. Jack Butala: To be good at it, it can be as fast as a year. To turn a bunch of deals, it can happen in weeks. It just all depends on what you put into it is what you’re gonna get out of it. Jack Butala: Rewards are huge. I don’t know anybody who’s failing at this. Do you? Jill DeWit: No. Isn’t that funny. Jack Butala: Every month a couple people drop out of our group and the slots are quickly filled. It’s all because they lost interest or somebody in their family got ill or something like that. They just didn’t follow through. Jill DeWit: Exactly. They’ll say that. They’re just like, “You know. It’s not for me.” That’s okay. I know it’s not for everybody and that’s fine. But those who get it and understand it and want to do this, they are killing it. Jill DeWit: It is awesome. Jack Butala: More and more we’re meeting our members and talking with our members. For some reason we either meet with them after they’re just killing it financially or we meet with them right at the beginning. Most of the successful people, they do well and we don’t ever hear from them again. I wish that would happen with our kids. Jill DeWit: Ha. Just go away and come back successful. Jill DeWit: Go dark and come back valedictorian. Jack Butala: Just send me a postcard. Happy for you kids. Jack Butala: For some reason there are some people who have a real tough time getting over doing their own deal from start to finish. They can come from an environment … We were exposed to some people recently, Jill and I personally, who are in our group who have been doing deals their whole lives. Jill DeWit: With other people’s money. Jack Butala: Other people’s money. They have escrow agents helping them. They had other people making the actual decisions. Green light. Red light. They’re struggling with getting their first deal done. Jill DeWit: It’s that funny. Jack Butala: Because they’re making their own decisions. Jill DeWit: They teed them up for the people. They were doing the work in the middle there. It’s very interesting. Jack Butala: Right. Real estate agents have a real tough problem in our environment. Of all the people I thought who could be … This would completely … The light bulb would go off over their head. I thought it was real estate agents and we have very, very few in our group. Jack Butala: It’s because real estate agents don’t do their own deals. Jill DeWit: This is the first that I’ve heard. Well, that’s new to me. Jack Butala: My little sister is an extremely successful Coldwell Banker real estate in northern Michigan and she is top five producer in the country. Top 5%. She earns her money. Jill DeWit: Yeah. She couldn’t make it to our party because she was working. Jill DeWit: Doggone it. That’s okay. We love her. Jack Butala: You’re not alone in your real estate ambition. That’s a good topic. I think we covered it. Jill DeWit: I do. You want to hear something funny though? Jack Butala: I’m concerned for Dan’s health. Too much Jack and Jill. Jill DeWit: That’s so cool. I love it. I’m not sure I could do that. Jack Butala: I’m not sure I could either. Jill DeWit: I give you a lot of credit, Dan. Thank you. He said some really nice things too and I’ll tell you those later. It was really, really cool. Jack Butala: No. Tell us. I want to hear. Jill DeWit: It was personal stuff and it was really, really nice. Stuff for us. Jack Butala: Really? You can tell it on the air? Jill DeWit: I’ll tell you. Jack Butala: Okay. Information and inspiration to buy undervalued property. Jill’s just changed her mind. She’s gonna tell us about it on tomorrow’s show. Jack Butala: Have a good day.